Obituary for Chess Haskell "Bud" Hall Jr. Chess Haskell Hall Jr, age 83, died on Wednesday, December 5, 2018. Chess was born on August 10, 1935 in Dorchester, Texas to Chessteen Haskell Hall and Minnie Mae (Banks) Hall. Chess was a caring man full of integrity. He knew a lot about everything especially his AC business that he ran with honesty. He viewed his business, not as a way to make money, but a means by which he was able to help others. He always had multiple jobs and was a very hard worker. He was talented with cars as well; he could take a car engine apart and put it completely back together. Chess, known as “Bud” to his family, was committed to his wife, children and family. He cherished all his relationships and was always looking for ways to serve others; even if it was just holding a door open. Chess worked for Ford Motor Company for 28 years, before retiring. He enjoyed his retirement, traveling with his wife and being outdoors. 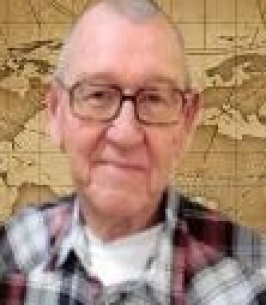 He was a former longtime resident of Irving for 35 years. He also was a member of the Holiday Rambler RV Club where he served as parking chairman at local and national RV rallies. Chess has entered into eternity, where he has been reunited with his parents and sister Betty Lillian Stephens. Left to cherish his memory are wife of 61 years Sarah; daughters Johanna Kaye Smith and husband Jim, Jennie Karen Hall; son Curtis Lee Hall and wife Angela; sister Mary Nell Hall; grandchildren Sam, Ben, Steven and Sarah; grand-dog Auggie; as well as numerous other extended family and loving friends. In lieu of flowers the family requests memorial donations be made to the Alzheimer’s Association. You may leave the family a note of condolence or make a donation by visiting our website at www.brownmem.com. To send flowers to the family of Chess Haskell "Bud" Hall Jr., please visit our Heartfelt Sympathies Store.